Greek trains will cross borders again as of 10 May 2014 with the launch of a passenger train connecting Greece’s second largest city Thessaloniki with Sofia and Belgrade (with a stopover in Skopje). According to reports, the aim is to eventually launch travel packages that will combine the new train services with the Thessaloniki-Athens route. In order to attract more passengers, Greek railway service operator TRAINOSE is offering discounted tickets for the routes. The train will depart daily from Thessaloniki at 6:55 am and arrive in Sofia at 2pm. The Thessaloniki-Sofia one way ticket will cost 17.80 euros (34.6 euros for a round trip ticket). Tickets will be available at 25 euros for a round trip if reservations are made up to 15 days in advance. From Sofia, the train will depart at 3:20pm and arrive in Thessaloniki at 10:20pm. At 11 pm every night there is a train from Thessaloniki to Athens. TRAINOSE will also launch an evening route connecting Thessaloniki with Belgrade that will include a stopover in Skopje. The train will depart from Thessaloniki at 4pm and arrive in Skopje at 7:55pm (local time). The train will depart 15 minutes later from Skopje to Belgrade where it will arrive at 5:30am. For 2014, the ticket will be available with a 20 percent discount (Skopje: 12.20 euros for a one way ticket and 19.60 euros for a round trip; Belgrade: 32 euros for one way and 51.20 euros for a round trip). 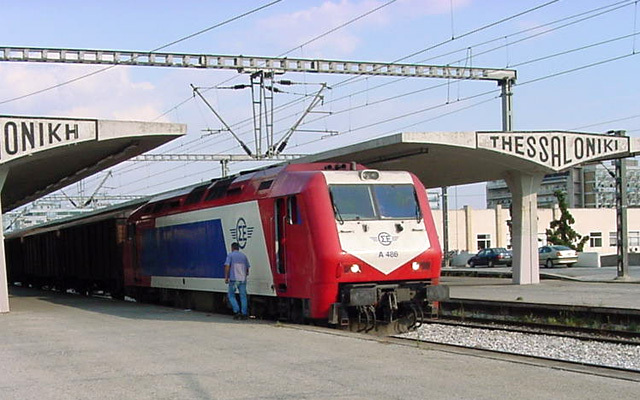 According to reports, Romania, Czech Republic, Slovakia and Russia have also expressed an interest to launch routes with TRAINOSE.